I have to be honest, I am so over this summer (or whatever that was). As most of you know, England don't really have summers, it's either cloudy and hot or humid and raining. We just don't see the sun that often. And being an autumn kid, I am really looking forward to fall season! That crispy fresh air, cosy evenings at home, burgundy lips and autumn fashion, of course. I'm so excited as high street brands bringing us A/W trends already! 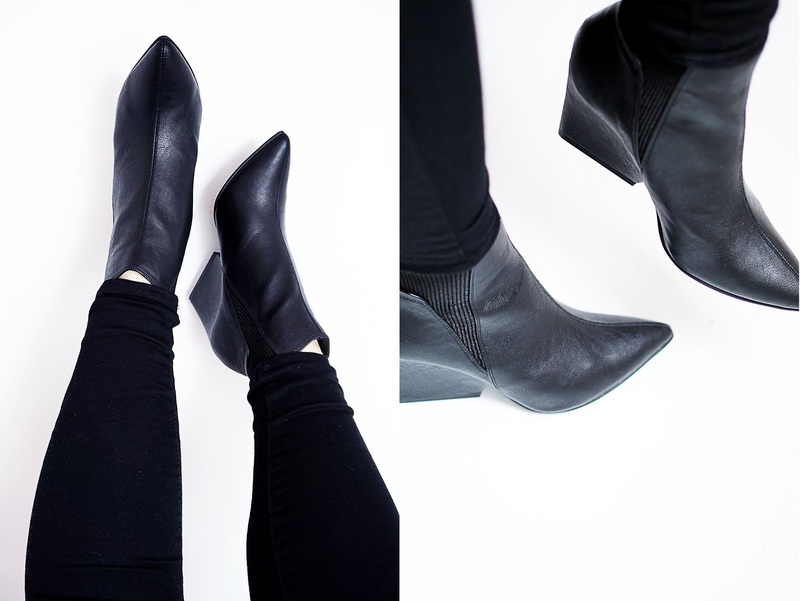 I was looking for affordable pointed toe boots for ages, but nothing really satisfied my needs until lovely people from JD Williams gifted me this stunning pair of Sole Diva Chelsea ankle boots*. It was the love at first sight! This pair is everything I was looking for and more! These beauties retails for £35, they are made of good quality faux leather and it looks more expensive than it actually is! The sock is elasticated to fit ankles of all sizes. Perfect pointed toe and look at that heel! How unusual, right? But thats what makes these shoes very comfortable. It gives more balance and feet does not get tired at all. The heel itself is only 3in high, so it is great for every day wear. You can also get them in tan colour (here). 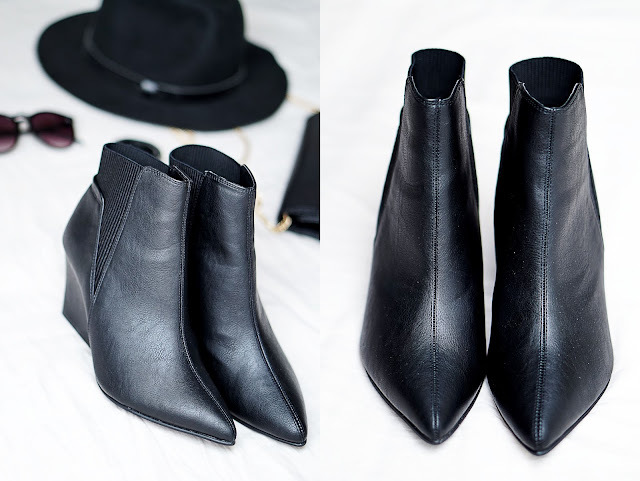 These boots would compliment any outfit, but my favourite combo must be black jeans, flannel shirt and leather jacket to create edgy look or wear it with a dress, fedora hat and long coat for more of an elegant ensemble. I cannot wait for the right time to wear them! If you are not in to pointed shoes, you can find more options here. When JD Williams contacted me I didn't know what to expect, as I've never heard of them before. But once I checked their website, I was pleasantly surprised by the variety of products they have and prices are very affordable. Highly recommend to check them out. Let me know what you, guys, think? i like them , pretty shoes!